M & R Auto Electronics can address all of your vehicle’s electrical repair service needs. We also have a team of knowledgeable technicians who can provide the expert service and installation needed to fix it right and get your vehicle back on the road. OEM Radio Repair – No need to purchase a new audio system, our technicians can return your OEM radio to factory specifications. Instrument Cluster – Tired of not knowing your speed or whether you are close to running out of gas due to a faulty instrument? Our technicians can address all of your instrument cluster repair needs. Computer Programming – A faulty onboard computer can wreak havoc on your vehicle’s systems. We have the knowledge and expertise to diagnose and address any problem. Power Locks/Power Windows/Power Mirrors – You paid for these luxuries, let our technicians fix them right so you can begin using them again. Starting/Charging – Your vehicle shouldn’t be lawn art, let our technicians address your starting/charging needs and get you back on the road. Exterior/Interior Lighting – Dash lights, dome lights, running lights, break lights, back-up lights. So Many Lights! We can fix them all. Heated/Power seats – Be kind to your backside. Let our technicians address any of your seat repair needs. Heater/AC Controls – Stop freezing in the winter and boiling in the summer. Our technicians can help you ride in comfort again. Keyless Entry – Stop fumbling for those keys, when entry is right at your fingertips. Cruise Control – Get rid of that stick wedged between the seat and gas pedal. Our technicians are poised to address any cruise control repair issues. 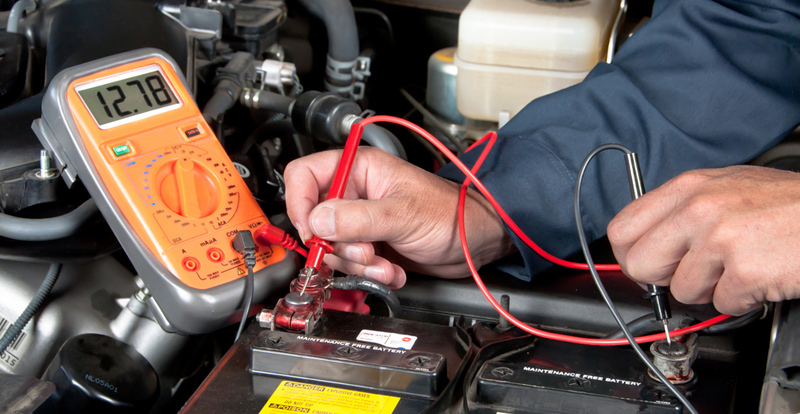 Battery Draw – Our technicians can extend the life of your battery by addressing battery drains. Trailer Wiring – Michigan weather wreaks havoc on trailer wiring. Our technicians can assess your wiring needs and fix it right. M&R’s State Certified Technicians use the same computer equipment as the dealers. With Gm’s Tech II – MDI, Ford’s IDS, andChrysler’s WiTech scan tool equipment, ourfactory trained techs will have your electrical issues solved, and your family back on the road in no time. And all of our work comes with a world class 1 year warranty.